Our third full day in London also meant our third planned day trip on this three-week vacation (how’s that for doing things in threes? :)). This one included stops in Windsor, Stonehenge, and Oxford and was again scheduled through Viator. Unfortunately, it involved another early start (not the end of the world, but something you should always keep in mind when planning day trips, especially if you aren’t normally an early riser), but, as usual, we made it. We started the day in Windsor, which ended up being a bit of a bust. Our plan was to visit Windsor Castle while we were there because that’s what the majority of the tour group was doing and we wanted to see it anyway. We thought we could use our London Pass to get in for free because it’s an included attraction in the pass, but when we took our cards there, they told us they were expired. Travel tip – make sure you understand how these passes work before you use them for the first time! The way it was explained to us, the pass was good for two days from when it was first scanned (which for us was around 230p on Tuesday). The girl at the London Pass kiosk made it sound like those two days meant 48 hours, but it actually meant calendar days, so our pass was good for the rest of Tuesday and all of Wednesday and that was it. 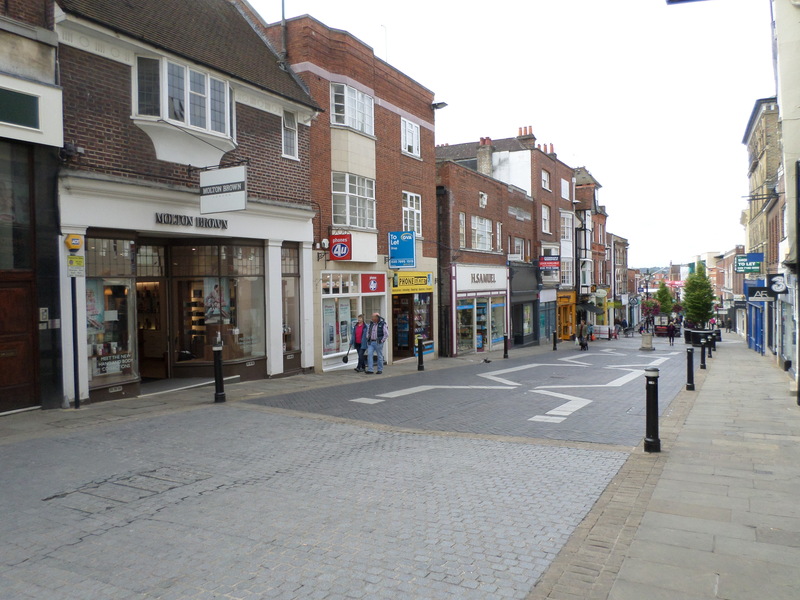 We opted not to pay the £17.75 to get in and decided to just walk around and see some of Windsor on our own, which was nice. We also got the chance to eat, which worked out well because this particular day trip didn’t have a specific lunch time carved out. I wish Scott had been able to see the castle (I was there once several years ago), but we still ended up having a nice time. 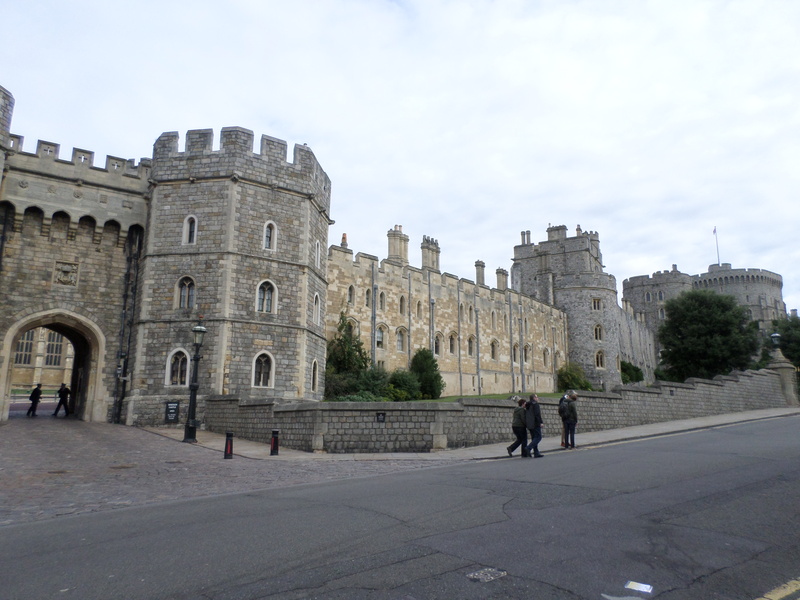 Windsor is certainly worth visiting and the castle is pretty amazing (it’s the longest-occupied castle residence in the world), so I recommend visiting it. Onwards to Stonehenge! What can I say about Stonehenge? Basically, it’s a bunch of rocks. But it’s a cool bunch of rocks, so you should definitely make it there at some point in your travels. Although the rain held off in Windsor (we even had some sun there! 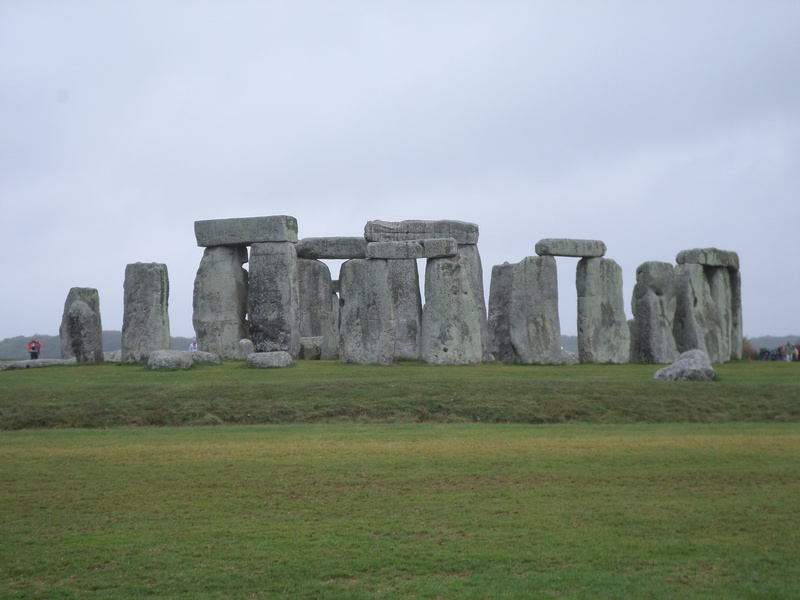 ), it didn’t in Stonehenge – it was overcast, drizzly, and windy. Remember that Stonehenge is on a plain, so there’s nothing to break the wind while you’re walking around it. Despite the icky weather, it was great to see, especially since I had only ever seen it briefly once before on my first trip to the UK over ten years ago. And on that trip, we didn’t stop to see it – we just drove by. An audio guide is included with the entry price here (£8 as of Sep 2013) and, although I think it was a bit too long and wordy in places, it was still useful. They’re actually working on building a new, state-of-the-art visitor’s center for Stonehenge that’s supposed to be open by next year, so be on the lookout for that when you visit. They’re going to remove the current parking lot and other buildings in favor of just using the new space they’re building. Apparently, there will even be a small train to take you from the visitor’s center to the stones, which will drastically reduce the vibrations from cars that could potentially damage the stones. The exterior of Windsor Castle. 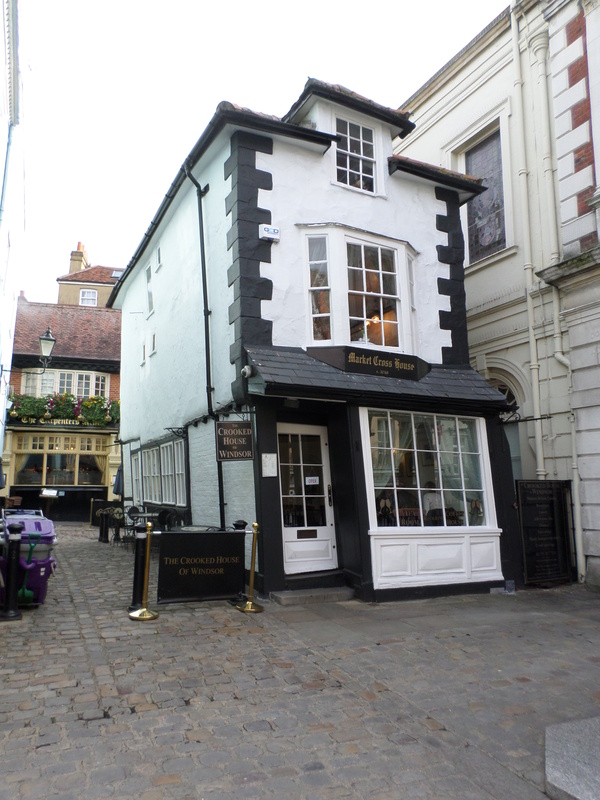 The Crooked Tea House in Windsor. 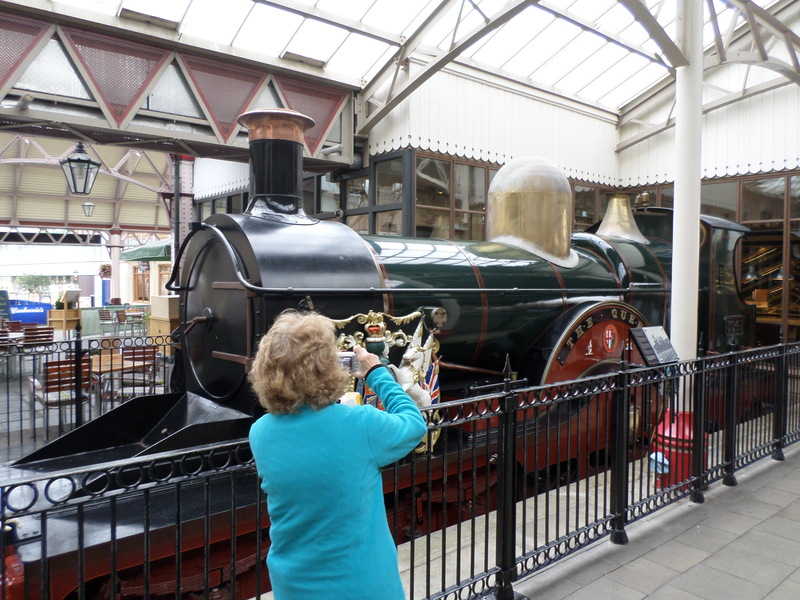 A replica of Queen Victoria’s train, which she often used to travel between London and Windsor. 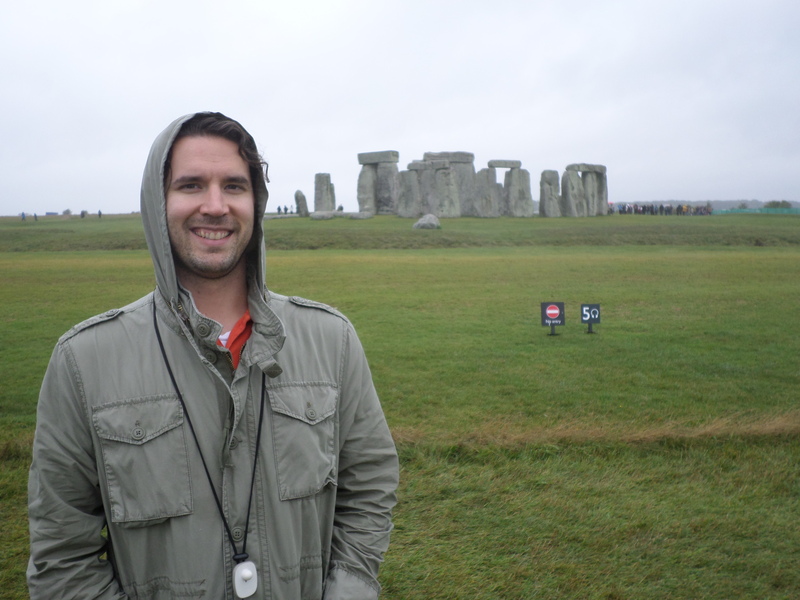 Me standing with Stonehenge. Don’t I look all warm and cozy? 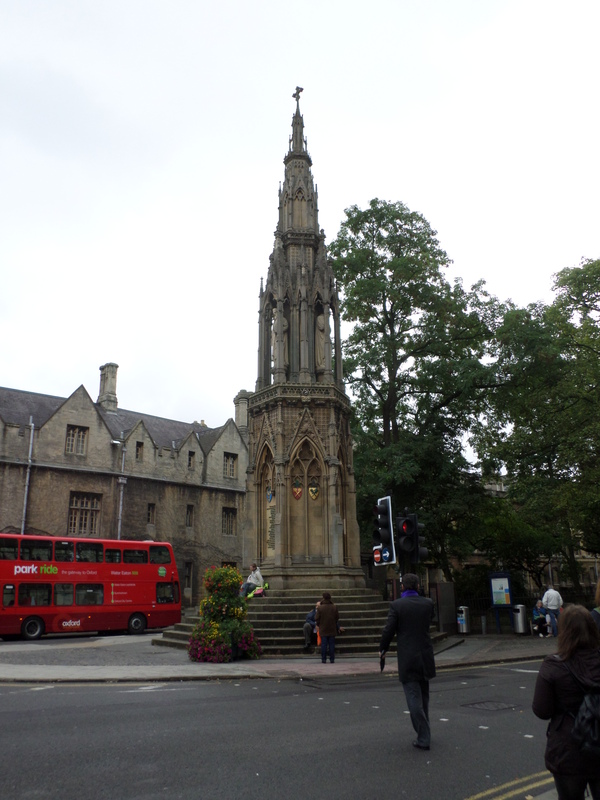 The Martyrs’ Memorial in Oxford. 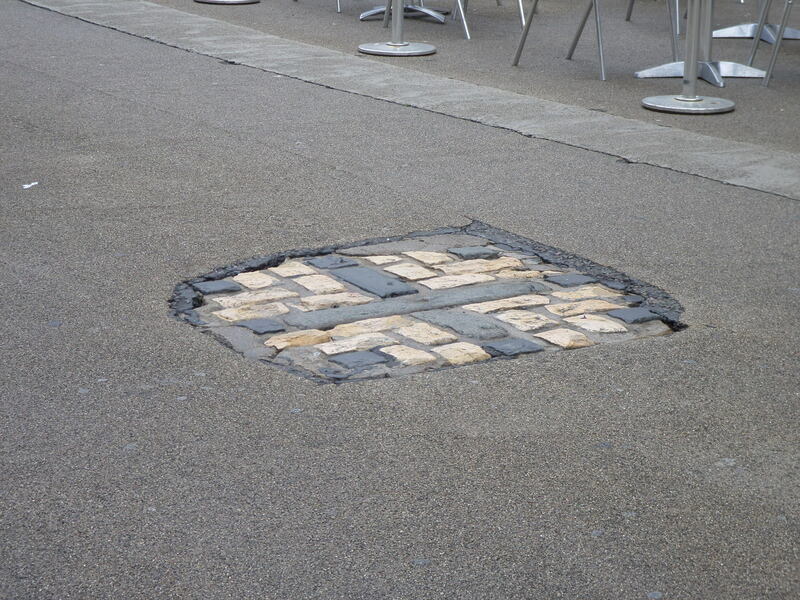 The spot where three Oxford bishops were burned at the stake in the 1500s. 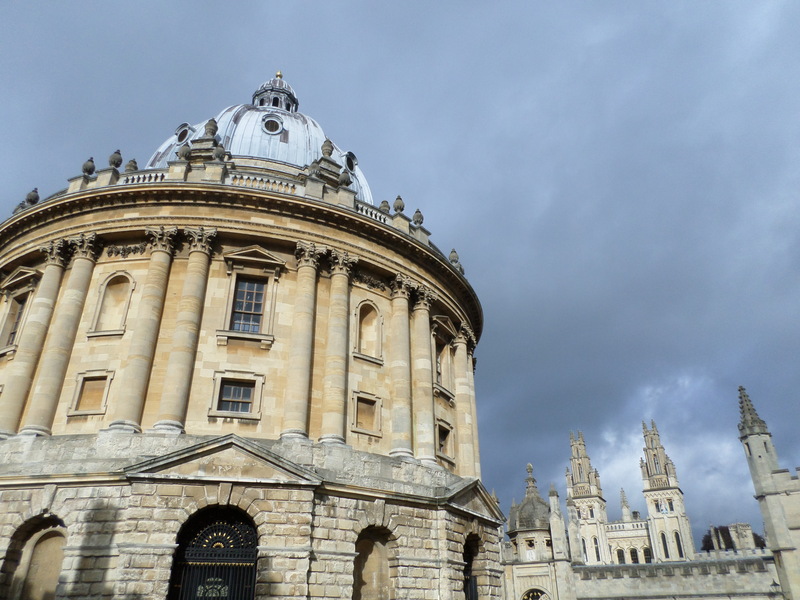 The Radcliffe Camera, which houses reading rooms for the Bodleian Libray. 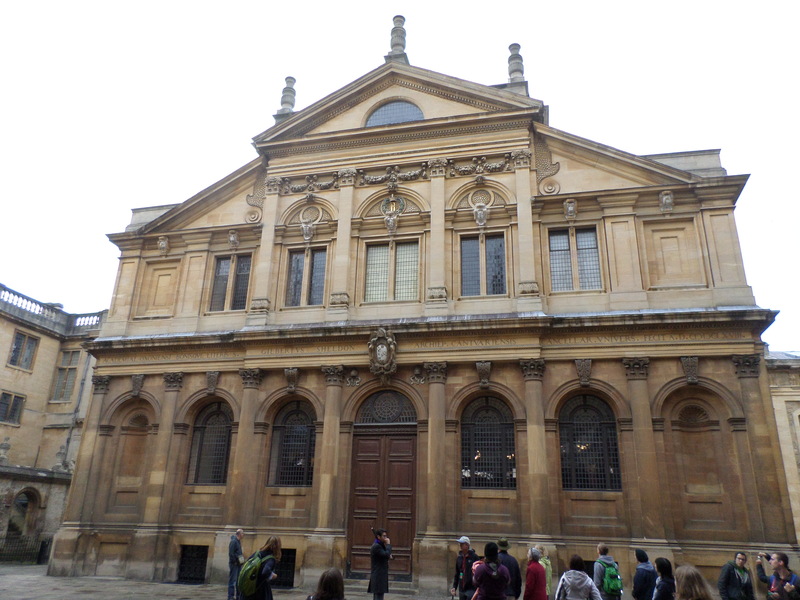 The Sheldonian Theatre, which is where graduation ceremonies for the University of Oxford are held. 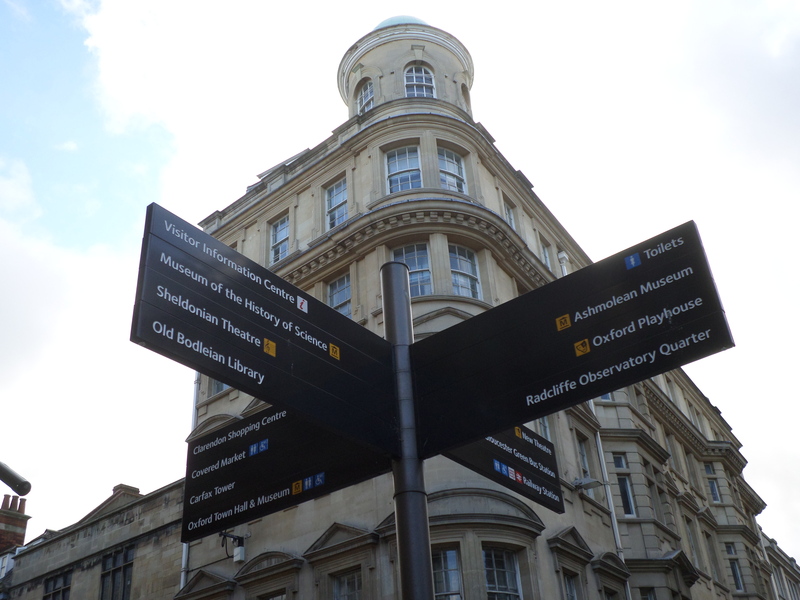 I haven’t posted any directional signs for awhile, so I thought it was time for another one! 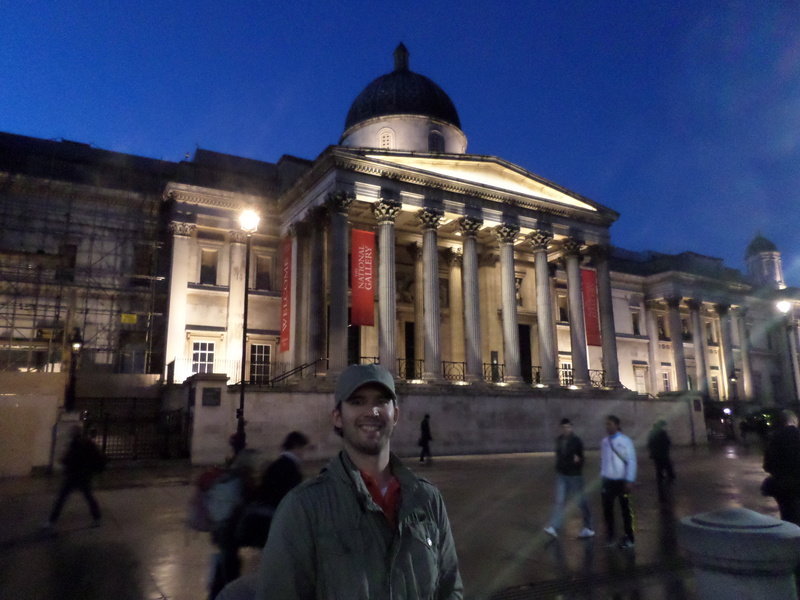 Me in front of the National Gallery in Trafalgar Square. 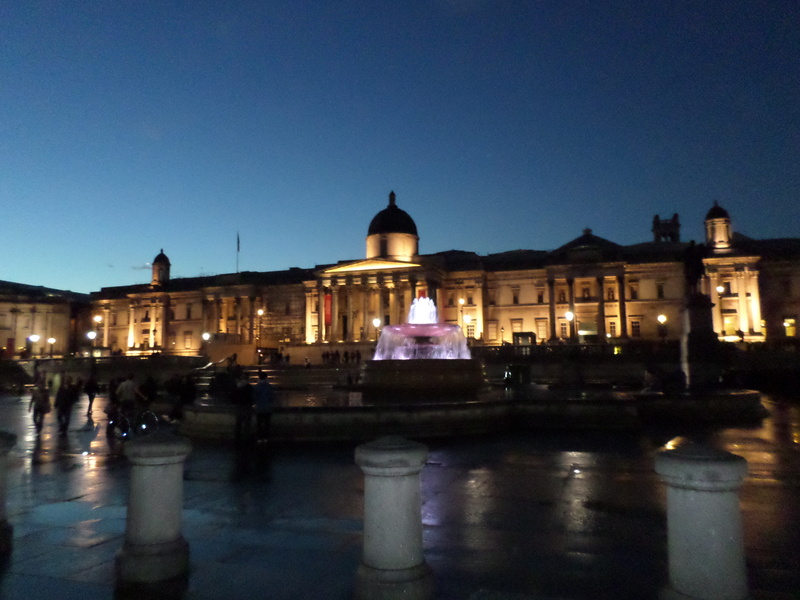 Another shot of the National Gallery. It looks great in this light! A panorama of Trafalgar Square (click for full version). And now, it’s time for our last full day in London and our last full day on this vacation. I can’t believe three weeks has gone by that quickly! Well, almost three weeks. We’re planning on doing some more walking around London today to take in some of the city views. Although it isn’t very sunny, there’s no rain for the moment, so hopefully that will continue for the rest of the day (or at least for as long as we’re wandering around). Cross your fingers! 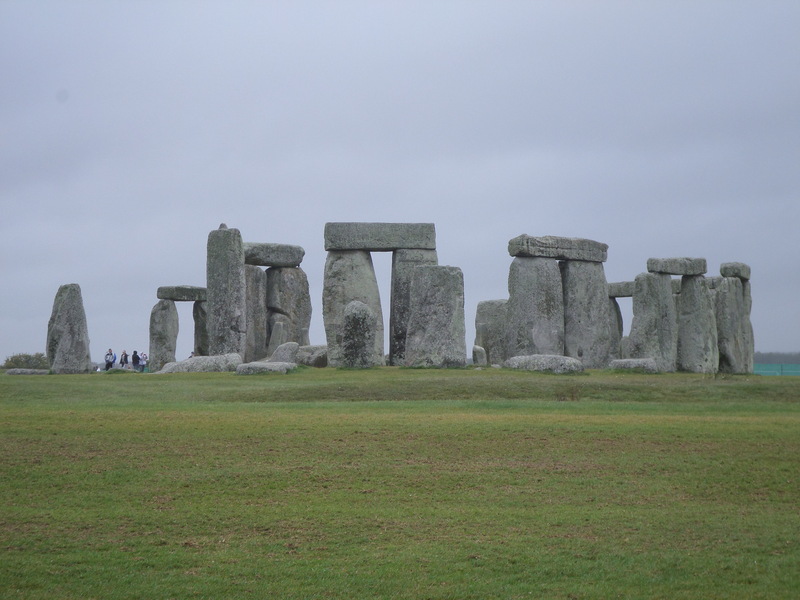 As Eddie Izzard says, “Stonehenge is absolutely in the top 5 henges in the world. Just a remarkable henge. They really outdid themselves.” I’m both surprised and not about how far away they keep you from it – that’s a long way to go to see something pretty far in the distance. I think it looks farther away than it actually is. Still, we can’t get right up to it, which would be ideal. They did it in European Vacation though! I’ve always been a bit puzzled by Stonehenge – what was the “best” (or most interesting/informative) thing you learned on the tour? Also, how close can you get to the stones? Hmm, I think the most interesting thing is that no one really knows what Stonehenge is for. There are tons of theories, but the fact that no one knows what it was built for or even who built it is pretty cool. And very unusual in today’s world.